Even the Berlin Bears need rain gear! I love stuff Teddy Bears and I connected with this Bear when I was in Berlin on my Germany trip. He is not far away from Brandenburg Gate. As ambassadors, Bears promote tolerance and living together in peace all over the world now. With the Buddy Bears, the centuries-old heraldic animal of Berlin took on a new shape and adopted a new role: The bears are a cheerful welcome for Berliners and their guests as well as ambassadors promoting tolerance and living together in peace all over the world. 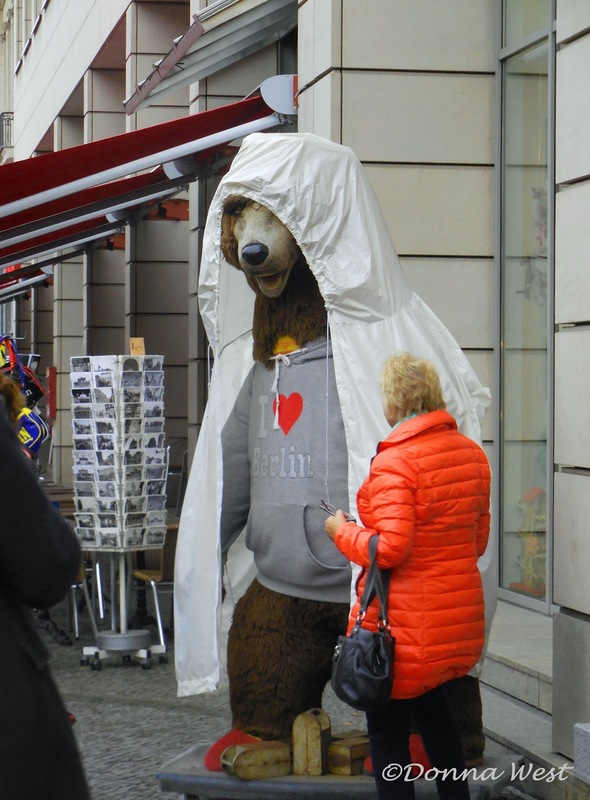 Additional historic information is found at The Bear - the Symbol of Berlin. Do you like this article? Comment and let's talk below. Please share with your friends. And have fun with the items in our sidebar. Thank you in advance following our blog. Let us help you with trip and itinerary planning! You may book your own hotels too!